The Biologic Basis of Schizophrenia. According to the jacket of his book, Dr. Karlsson "has succeeded in demonstrating that schizophrenia has the characteristics of an inherited disorder." This reviewer humbly disagrees with this statement and with many others in the book. 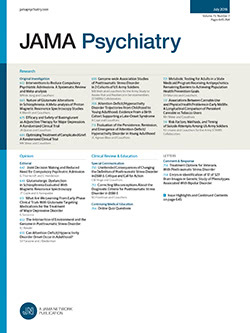 However, Karlsson's failure to establish "The Biologic Basis of Schizophrenia" is not his alone, but is shared by the entire community of biological and social scientists who have concerned themselves with this important problem. The concept that schizophrenia is a single clinical entity which is the phenotypic expression of two independent genes is the central theme of the book. This hypothesis is partly based on geneological studies of psychosis carried out by Karlsson in Iceland, a community with a stable and limited population of 180,000. To provide perspective for his studies, and to strengthen his theory, the author briefly (and therefore incompletely) reviews some aspects of schizophrenia.